Joni Ernst-GOP SOTU rebuttal: The Iowa Republican was more focused on reliving November’s political victory than arguing Obama’s policy proposals. 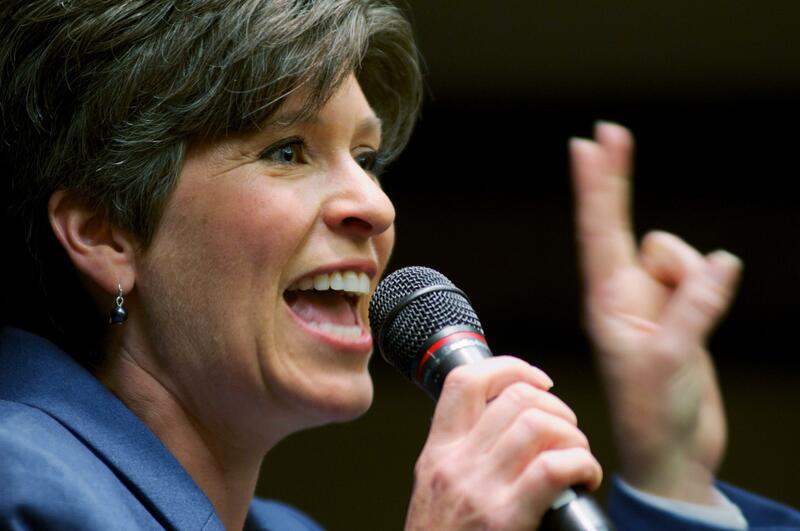 Sen. Joni Ernst spoke after the president, but her response was anything but a rebuttal. Republican leaders were so excited to have Joni Ernst deliver the official GOP response to President Obama’s State of the Union this year that, according to Politico, they reached out to her in December, even before she was sworn into office. Judging by the address she delivered Tuesday night, Ernst and her team went ahead and wrote the bulk of her remarks right there on the spot. With the exception of a quick plug for the GOP’s efforts to fast-track the Keystone XL pipeline—or “the Keystone jobs bill” as she called it—the lion’s share of legislative goals Ernst name-dropped were either anodyne proposals designed to make almost everyone nod along in agreement (“support our exceptional military and its mission”) or conservative red meat that was wrapped carefully in coded language (“we’ll defend life, because protecting our most vulnerable is an important measure of any society”). To grade Ernst’s response by its policy proposals, it landed somewhere between an F and an Incomplete. But in terms of sheer politics, the Iowa Republican deserves something a few notches higher on the curve. It was her biography that helped her handily win her Iowa seat, after all. And if there was a point to her rebuttal, that was it. As my colleague John Dickerson explained, this year’s SOTU pitted the momentum the GOP captured this past November against the momentum the White House is claiming now that the economy appears to be rebounding. Given that, then, it’s not hard to figure out why Republican leaders would rather focus on the former and ignore the latter, and why they would choose Ernst, who never talked much policy in her campaign, to deliver the message.